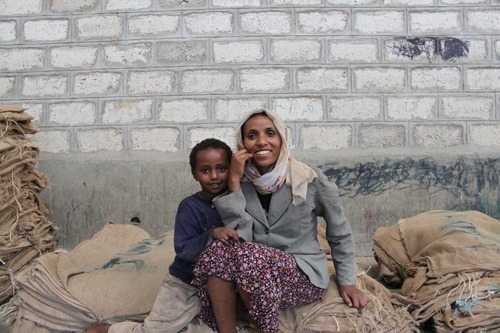 Ethiopia origin update; hardwork abounds, happiness sets the tone and great coffee is not easy! It’s been a relaxing trip so far in Addis Ababa, Ethiopia. I arrived here late Sunday night and spent the last 3 days enjoying the culture and learning the city. I met Dawit of Nardos exporters Sunday night and he has been my guide since arrival. 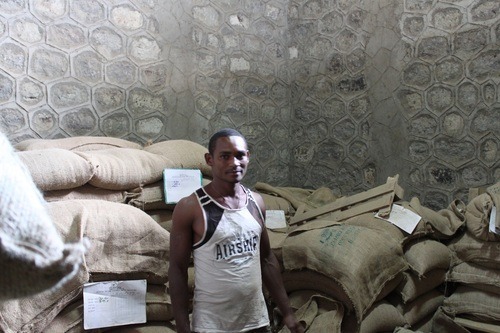 Dawit came to visit our roastery in September 2012 and has many years experience in coffee. 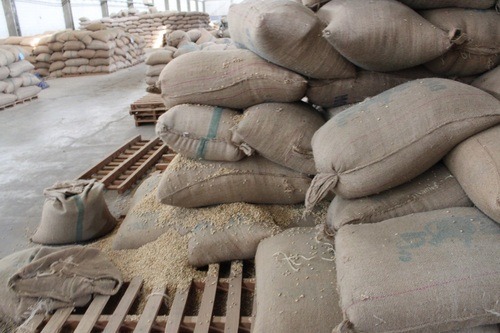 Dawit is new however to the private sector, coffee exporting. His experience prior to Nardos was at TechnoServe, a foundation seeking to empower coffee farmers and producers through knowledge and technical assistance with the believe that business is the best means out of poverty, a great belief to have! For the first couple of days, I spent time at Dawit’s office and we went over dozens of Ethiopian coffees, ( some of which, we purchased and others we’re considering) and mapped out the rest of the trip and farm visits that start tomorrow. 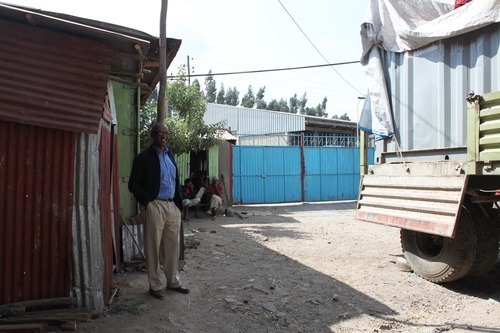 In the meantime, Dawit got me acquainted with the city and culture and today we went on a visit to a couple of dry mills. Ryan Knapp from MadCap roasters joined the trip last night and I’m excited to spend the next several days with him on the trip. 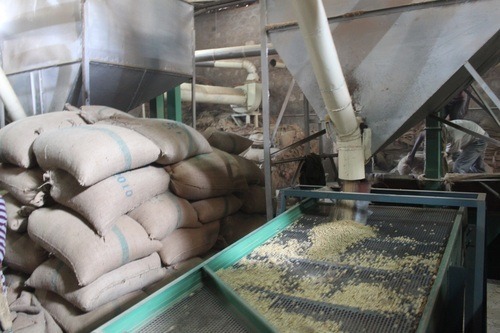 The first visit we made today was to a dry mill, where exporters bring parchment to be cleaned, sorted and graded. The parchment gets trucked in from the farms about a 6 hour drive away. 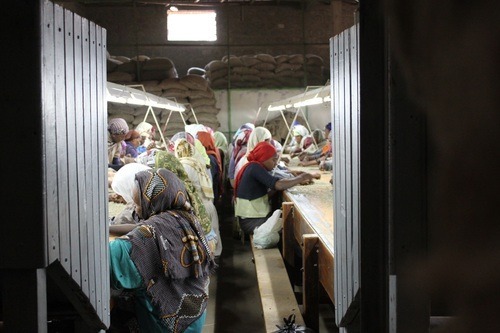 We got a brief tour of the warehouse and saw bags of washed sidamo grade 2 being prepared ( the grading system is in order of 1 thru 8 with 1 being the highest quality and so on). The mill was very active and here every smile gets a big one in return. 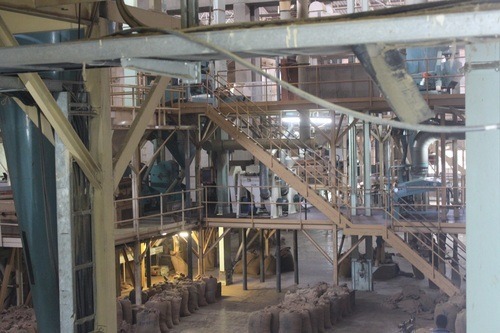 The next visit we made was the ECX ( Ethiopian Commodity Exchange) warehouse for coffee. It’s a parchment mill, much like the 1st one we visited but much larger and entirely government regulated. Here we did a cupping of 9 coffees by region. 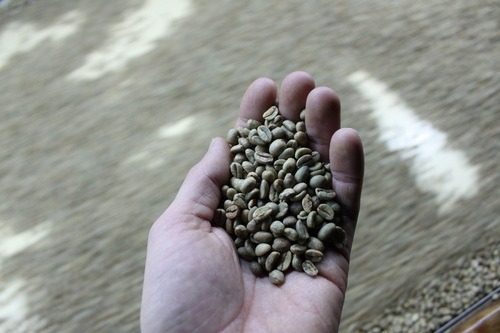 Tomorrow we’re heading out for a few days for farm visits and the harvest period for the 2012-13 crop is just now starting so it will be a great chance to visit coffee communities and farms to identify coffees for this coming year. Trying to source great coffee is definitely not easy for the many people involved, but the hope is finding a cup of coffee that will be full of amazing flavors and create lasting memories.